The Leica S (Typ 007) featuring the Leica medium-format system is now available. The camera, which systematically builds on its predecessor, boasts a wealth of brand-new components and brings together maximum burst rate, exceptional sensor sensitivity and an extensive range of capture modes for photos and – for the first time – video footage, too. All this is complemented by new features that dramatically speed up and simplify photographic workflows. With its handy and compact format, the Leica S (Typ 007) redefines medium-format photography and opens the door to new applications. The technical features of the serial production camera have been enhanced since the first prototype was unveiled at Photokina 2014. Sensitivity, for instance, can now be increased to ISO 12,500, making the camera even more versatile. The Leica MAX CMOS image sensor and the Leica Maestro II image processor deliver lightning-fast speeds and dramatically increase the versatility of the Leica S (Typ 007). 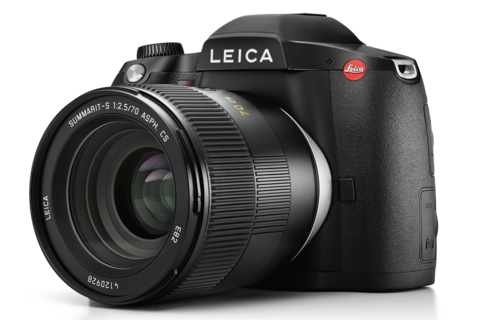 With a burst frequency of up to 3.5 frames per second, full-HD video in full-frame medium-format sensor size, 4K video recording in Super 35 format, fast Live View mode and exceptional image quality at all ISO settings, the Leica S (Typ 007) demonstrates its status as the benchmark in the medium-format segment. The 2 GB buffer memory ensures smooth shooting of rapid sequences and, despite its more than doubled burst rate capability, the new focal plane shutter in the camera offers a further significantly increased service life of at least 150,000 cycles. The revised autofocus system brings not only higher speed, but also more reliable and more precise focusing. To ensure optimum sharpness and precise tracking of moving subjects, the Leica S (Typ 007) features a predictive autofocus mode: the camera registers the motion of the subject and determines the distance to it at the moment of exposure. In combination with its fascinating image quality and high burst rate, the Leica S (Typ 007) sets entirely new standards for dynamic medium-format photography. The Leica S (Typ 007) features an integrated GPS module that can record the geographical positioning data of its current location in the EXIF data of the image file whenever needed. It can also automatically set the local system time. On the basis of the GPS coordinates, appropriate software installed on a computer, such as Adobe® Photoshop® Lightroom®, can display the precise location of each image on a map and register the corresponding place names as search keys for archived photos. The new dual-axis position sensor displays the precise horizontal and vertical orientation in the viewfinder to allow photographers to align the subject with absolute precision and without any need for external aids. In combination with the Leica S app for iPhones and iPads with the latest version of iOS, the camera’s integrated Wi-Fi module enables remote control of the camera and remote image assessment in Live View mode to provide simple and intuitive workflows. With a resolution of 921,600 pixels, a 3" diagonal, full sRGB colour space and increased contrast and brightness, the display allows optimum assessment of subjects and images in every situation. It is made from tough, scratch-resistant Corning® Gorilla® Glass®, enabling it to withstand tough conditions. The new transflective display on the top plate of the Leica S (Typ 007) ensures perfect control, even in bright sunlight. With its enlarged surface area, it offers optimum legibility and enhanced information content. Two new control elements on the top deck enable direct selection of Live View mode and the activation of video recording. Leica S-Cameras are designed and constructed for many years of daily use. The new stainless-steel bayonet on the Leica S (Typ 007) guarantees even greater endurance under even the toughest conditions. The new camera also possesses all the proven quality characteristics of the S-System. These include the large 30 × 45 mm Leica Pro Format sensor and its micro-lens layer that guarantees maximum light output. The camera and S-Lenses are extremely ruggedly built and sealed against environmental influences like dust and rain. The system’s unique dual-shutter concept offers photographers the choice of using the camera’s fast focal plane shutter with speeds of up to 1/4000 s or the electronically controlled central shutter of the CS lenses that allows flash sync at all shutter speeds up to 1/1000 s. The ten currently available Leica S-System lenses, six of which are also available with a central shutter, offer photographers all important focal lengths and a first-class tilt/shift lens. At the same time, numerous third-party medium-format lenses can be mounted onto the Leica S (Typ 007) with adapters. Take, for instance, the Leica S-Adapter H for Hasselblad H lenses and the Leica S-Adapter C for Contax 645 lenses, both of which provide full compatibility – including autofocus, central shutter control and automatic aperture control. The Leica S (Typ 007) is uncompromisingly built for maximum dependability in use and also features details like cable connections with strain relief, separate slots for CompactFlash and SD memory cards and further optimised energy efficiency. It can therefore be relied upon to achieve maximum-quality results in the studio and on location under even the most unfavourable conditions.